Do YOU Hold the Cards in Your Relationship? Take a journey into the male mind and come out on the other side holding ALL of the cards! Has your man gotten complacent with you? Are you tired of chasing cheap losers who won’t commit? Are you dating emotionally unavailable men? Do guys break up with you? Or do you simply want to learn HOW to get a boyfriend? 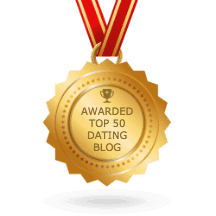 Life/dating coach and best-selling author Gregg Michaelsen will show you how to attract a man with 5 lethal steps – 5 simple steps that will make him commit and beg to be your boyfriend! You can start using this advice now and see results by morning! Men are such simple creatures that IF you used 1/10 the power of your mind and body, in a way that only a MAN can teach you, you could have us at hello and forever. Armed with these powers your man or future man will go fetal at just the thought of losing you. Apply the most powerful step – step 4 – Kryptonite – game over!